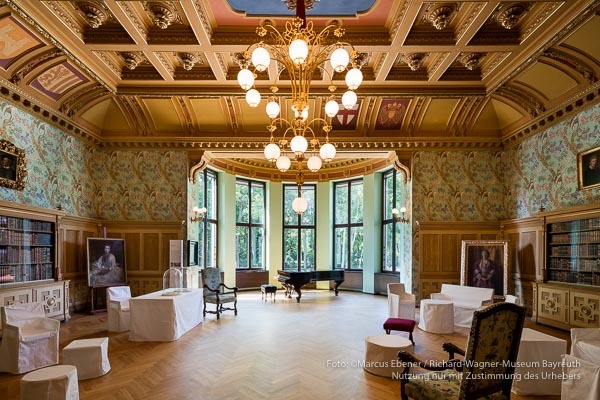 Tuesday to Sunday 10 a.m. - 6 p.m.
July and August daily 10 a.m. - 6 p.m.
Richard Wagner came to Bayreuth in 1872. Two years later he moved into the newly constructed Wahnfried House with his family. Here on November 21, 1874, he completed the "Ring of the Nibelungen" and in 1877 began his last work, "Parsifal," which he completed on January 13, 1882 in Palermo with the words of Christ's passion, "It is fulfilled!" A year after that Richard Wagner died in Venice. His body was transported to Bayreuth and entombed in the burial plot in the garden of his house, where his wife Cosima was also to find her final peace. 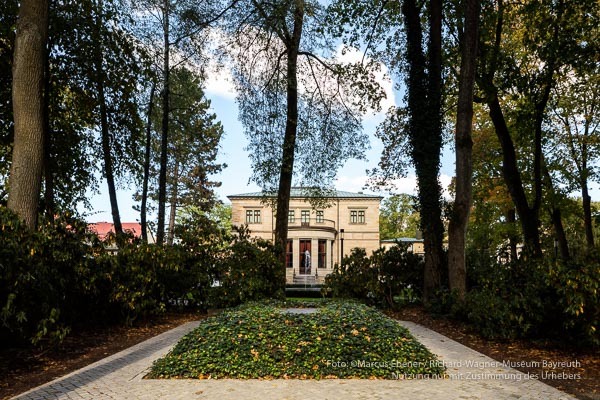 The Wagner family occupied the Wahnfried House until the death of Wieland Wagner in the year 1966; thereafter the family donated the property to the city of Bayreuth. 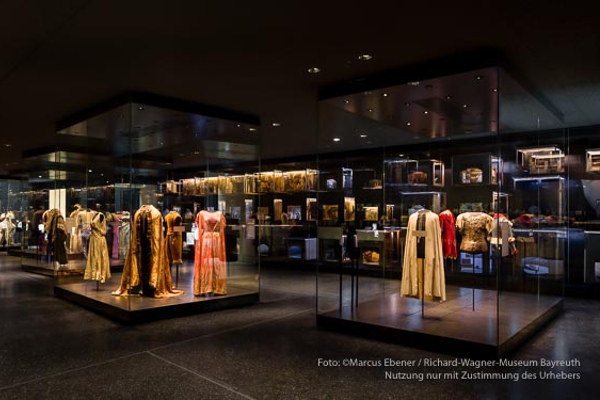 In 1976, on the centennial anniversary of the Bayreuth Festival, the decision was made to establish a museum here. 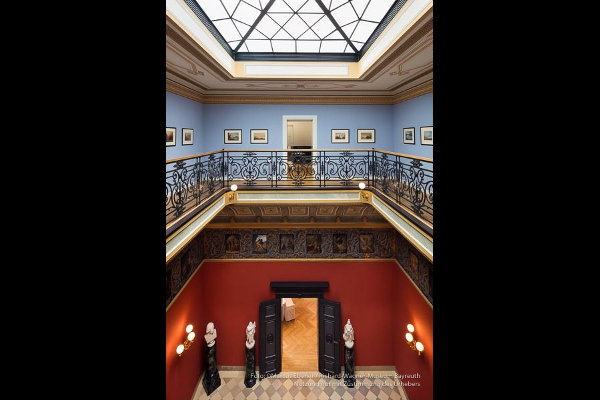 From 1974 until 1976 the Wahnfried House was rebuilt in a condition true to the original and the Richard Wagner Museum opened. 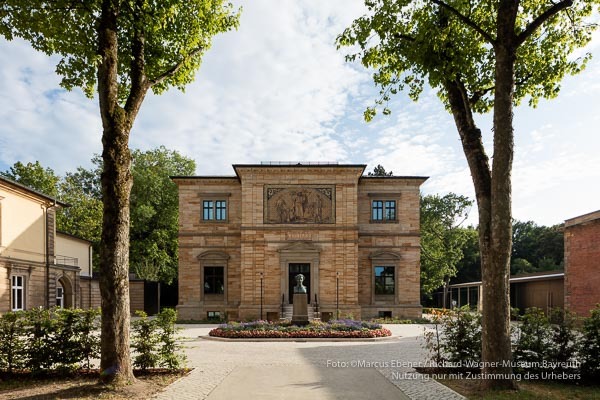 In order to commemorate Ricahrd Wagner's outstanding work adequately, the city Bayreuth and the Richard-Wagner-Foundation have set the goal of developing an up-to-date, informative and a culturally high-quality museum. The common mission of communicating the cultural-historical knowledge for the visualization of our cultural roots, our cultural identity and with that of a joining public spirit so always will follow Richard Wagner's forward-looking request: „Kids, make something new!"